I don’t celebrate many “holidays”, but International Woman’s Day is one that I always remember and reflect upon. I guess it is just something that comes from all the literature I read about subject and being aware of all the suffering and lives lost so we could have basic rights. It looked better in real life, but I’m giving my self some slack today and showing it to you anyway. Have a lovely day, ladies! 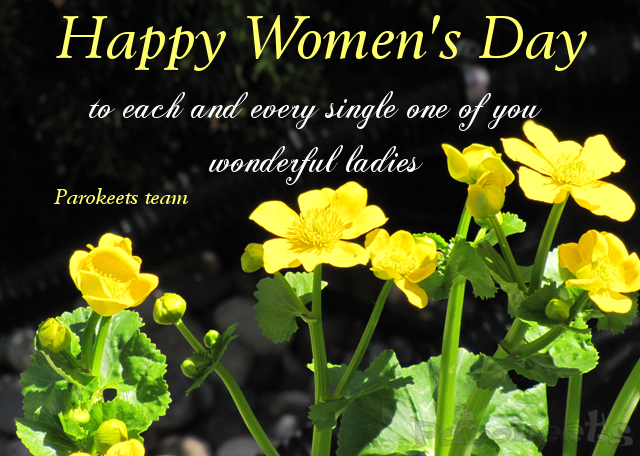 Happy women’s day ladies!! Very sping-y combo, I like it!